How much is the Grand Canyon worth? What would you pay to prevent developers from building condos on the Cape Cod National Seashore? 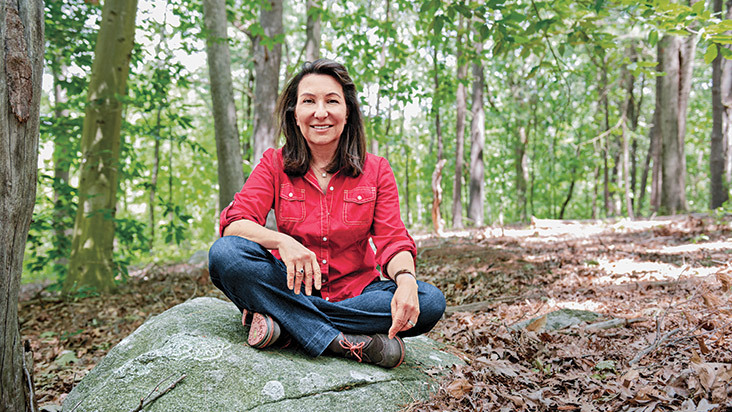 As difficult as it may seem to answer those questions, Linda Bilmes (MBA 1984) has made it her business to do so in this, the National Park Service’s centennial year. The Daniel Patrick Moynihan Senior Lecturer at the Harvard Kennedy School, Bilmes began her career at the Boston Consulting Group, focusing on cost structures in large-scale industries where fractional commodity fluctuations result in global price shifts. After she was appointed by President Bill Clinton as assistant secretary and CFO of the Department of Commerce, Bilmes’s attention shifted to government spending. Previous attempts at determining economic value focused on direct-use factors such as visitor spending in and around the parks. Using a more comprehensive approach that also takes into account indirect or passive use—in other words, our desire for the parks to always be there for us and our children, whether or not we visit them—Bilmes and coauthors at Colorado State University undertook a study that estimates a total economic value for the parks, including the annual amount a participant was willing to pay to prevent the loss of 20 percent of US National Parks and programs. (A series of focus groups determined that most participants found it unlikely that all parks would be eliminated; a 20 percent loss due to budget cuts was deemed a realistic possibility.) The researchers adopted the “willingness-to-pay” methodology that federal agencies such as OSHA and the FDA use to determine how much people would pay to avoid injury. Based on this method, Bilmes found that the US population is willing to pay $92 billion a year to protect, or not lose, the national parks and the service’s key programs such as education and historical preservation. Further studies by Bilmes and student researchers focus on additional values provided by the national parks that have never been measured, including carbon sequestration, watershed protection, and the creation of intellectual property. (Star Wars director George Lucas, for example, found Death Valley National Park to be the perfect locale for Luke Skywalker’s home planet of Tatooine.) The work, which is ongoing, will culminate in a book to be published next year. Bilmes cautions that the $92 billion figure is highly conservative for several reasons, above all because the team attributed zero value to households that failed to return the research survey (even though the failure to respond was mostly due to participants not having time to complete it, according to an audit). “We can never fully value natural capital,” she adds, citing the Amazon rain forest’s “carbon sink” role as an example. Still she hopes that providing a wider lens for viewing the parks’ total economic value will make it easier to think more broadly about establishing new financing streams. “The parks are funded through an annual appropriation of about $2.5 billion, which is subject to all the usual political negotiations,” she notes. “In real terms, that amount has been declining every year for the past 15 years.” Tax-exempt green bonds, for example, and a funded endowment could help ensure that the national parks are around for the enjoyment of future generations.